Go Ahead. I’m All Ears. When she opened her car’s back door, I saw two boxes I’d been missing for over a dozen years. In the early 2000s, we packed our belongings into storage units while securing land and building our home. Especially fragile or meaningful boxes were stashed with friends and family; the group included Melissa who had held on to our Christmas decorations. When the house was finished in 2004, we retrieved our worldly goods from their various locations. That first Christmas, I couldn’t find the stockings for the mantle that my children had loved since they were little. And then I realized I was missing other little Christmas decorations here and there. Melissa was adamant that nothing of mine was left in her attic. I chalked up the mystery to the boxes had just somehow gotten lost. Last spring when cleaning out her attic, Melissa found the two stray boxes that had gotten separated from the rest. No, I wasn’t mad; I was indeed happy to reclaim that part of our family’s Christmas story. Isn’t it great to find something that’s been missing? Even if it’s been missing just a little while? And even when it’s something ordinary like a hat or a glove that you know likely isn’t really lost; it’s just been temporarily misplaced. It’s such a relief to find the thing. 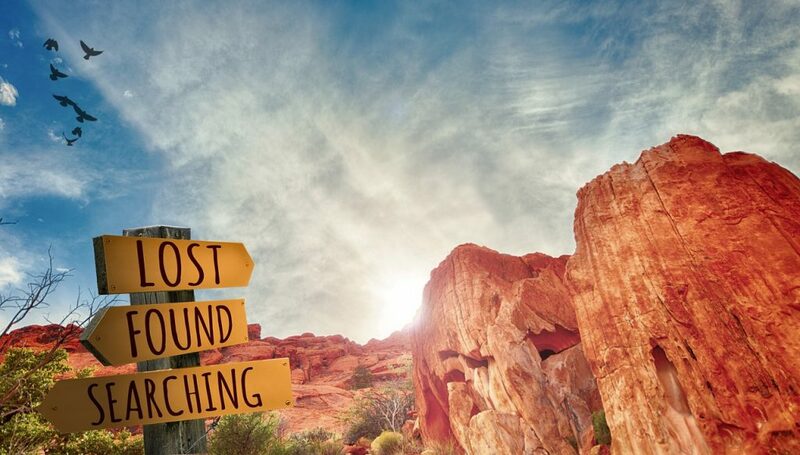 Lost and found is a concept that holds such importance that there are three parables of Jesus covering the topic: the lost coin, the lost sheep, and the lost (prodigal) son. And by rejoice, I don’t mean the finders did a little happy dance. No indeed! They invited friends to join them in a feast and celebration of joy over finding what had been lost. It’s the last week of November. Advent, the season of preparing for Christmas, begins this Sunday. I believe the reason it’s such a season of joy and celebration is that we’re readying ourselves to be reminded that the world was lost until some poor shepherds found a baby in a manger. We celebrate now because we already know how the story goes. That gives a splendid meaning to the term lost and found. I once was lost, but now am found, was blind, but now I see!!! Love came down at Christmas!!! Joy to the world, The Lord is come. Looking forward to the 25th, as usual. A huge AMEN to those thoughts! You are an amazing woman and I am honored to know you even just a little bit. AMEN to what you said Nancy!!!!!!!! !